Central Committee member calls to drive Israeli Jews into the Jordan river and the Mediterranean, in 'solidarity' with Gaza. The Palestinian Authority (PA) has called for ethnic cleansing against Jewish Israelis, after an official posted on Facebook to "drive the occupier out from the Jordan River to the Mediterranean Sea." 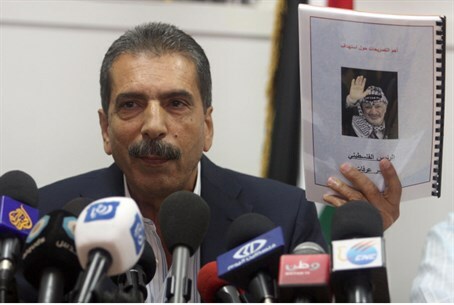 Fatah Central Committee Member Tawfiq Tirawi posted a message to his official Facebook page reading, "O our free people of resolve and sacrifice in Gaza, you are more honored than us all... We remain committed to the promise: freedom, independence, and driving out the occupier from the entire pure land, from the [Jordan] River to the [Mediterranean] Sea." "Long live free Gaza!" he added. The post was translated by Palestinian Media Watch (PMW). Tirwai has long been a proponent of violence against Israel, calling on Palestinians to take up arms shortly after the Hamas-Fatah "unity government" was declared in April. In recent weeks, Fatah has called for violent "revolution" against Israel, and threatened the Jewish state by telling it to "prepare the body bags."